Sometimes, finding the right WordPress membership plugin can cause issues even for experienced developers. This is one of the most used features in a WordPress membership plugin. It’s hierarchical membership levels that allows users to upgrade from free to pro later on if they want to. 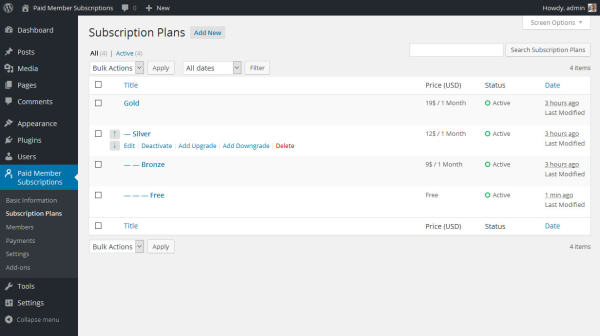 It also make it easy for the administrator to organize the subscription plans. As for working well with other plugins, each membership level allows you to create a new user role for your WordPress users, or select an existing user role if needed. This user role also changes as your user moves up the membership levels and gets removed if he deletes his subscription. This way it’s a lot easier to work with 3’rd party plugins that use user roles as a differentiation between users. 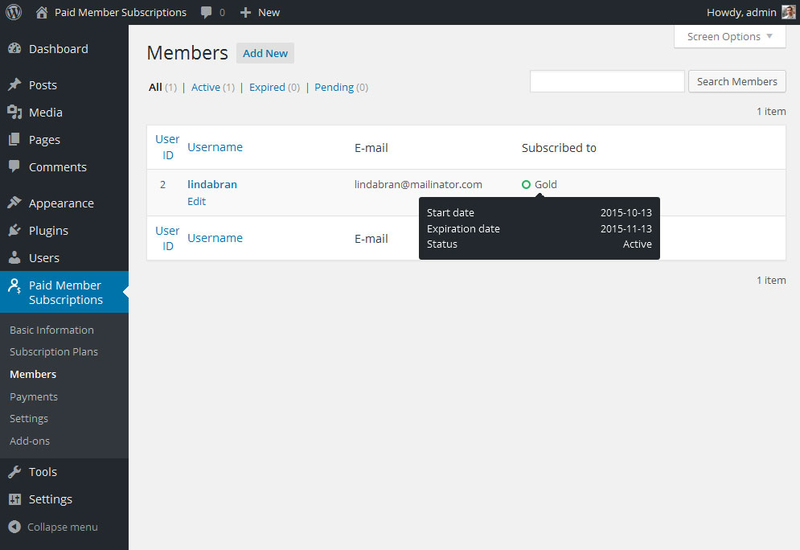 A simple to use member interface. Nothing fancy here, but we’ve tried to make the information easily available. As an administrator you can also manually change the membership levels a user has. Again, all the information needed for payments like the payment status or the transaction ID is available. You have access to detailed logs related to each payment, making it easy to troubleshoot failed payments. We tried to keep settings at a minimum. For example, to get started all you need is your PayPal address. There are also defaults for the messages displayed when the content is restricted and templates for the emails sent to users or successful sign-up. We also want to make sure it integrates with WooCommerce, making it really simple to restrict product purchase for non-members and be able to offer special prices to members when purchasing a certain product. [pms-register] – simple user registration where the user chooses the membership level he’s interested in. We’re aware this won’t be sufficient for all membership sites so the plugin was thought through from the start to be easy to extend using add-ons or other plugins. UPDATE: The steps below have been completed, check out the complete list of add-ons. This is just the start and we already have plans for a few more add-ons like Email Reminders, Invoices, Stripe and PayPal Express & Pro payment gateways as well as improving the payments interface and creating a few shortcodes and developer functions that will help integrating our plugin with other 3’rd party plugins. Also, we’ll be releasing free addons as well, that are really useful for certain users but don’t need to be part of the core plugin. Things like Labels Edit or reCAPTCHA. So let us know what you think either in the comments or contacting us via our support! Would love to see the email handlers! 1 – Initial Account Verify link email. 3 – Membership PAYMENT confirmation, thank you and membership approval email! That’s not possible at this stage, however I’ve written it down and we’ll consider it for a future version. Hi, I really like how simply the setup of this plugin works. Well done! 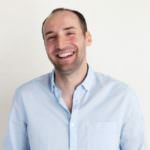 It would be great if it was possible to use other payments, such as Stripe, Braintree etc. Yes, we have a new payment gateways we want to implement. Stripe is on our short list. Braintree, depending on how many requests we get, we’ll implement that one as well over the next year. Hi Cristian. Your plugin looks really good. I wonder, if using it for our club subscriptions (rather than website subscriptions) could it be possible for the end-date to run to the end of our club’s membership year (end of July) rather than for 12 months from registration? Thanks, David. Currently that’s not possible, but we’ll take it into account in the future. Also regarding payment methods we need to have an option for a *non* card method, i.e. many members prefer to make a bank transfer using their online bank facility. So this would need a “pending” status until we receive the payment and we set them to “active” in the admin. Thank you Mike for your suggestions. Beginning next week we’ll start development for the Stripe gateway. 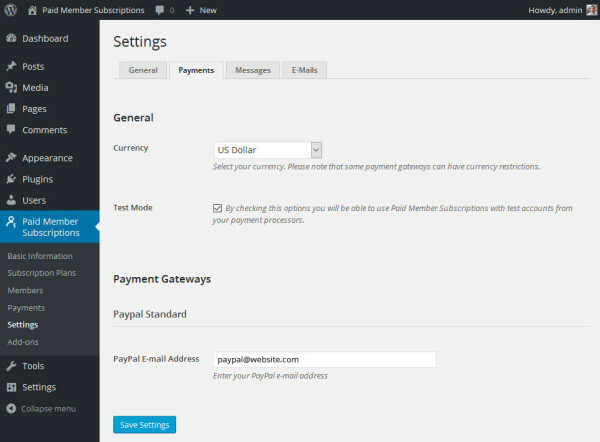 We’ll also look into how we can add a manual/bank wire option for the payments. Excellent post. I have been stuck at a problem for many days & can’t find what to do. My Scenario: I am trying to make a forum website with different forums for users(Free customers on one end & Doctors, Interior Designers, Restaurant owners etc on another end in different forums). I want to charge these local businesses to participate in the forum. I am using Paid Membership pro plugin. The Problem: I have created levels for each of them but after Registration, everybody lands on that choose membership page. I do NOT want the free users or the unrelated local businesses to see what I charge for some other business & neither I want them to change over to another unrelated level. Can you please open up a support ticket on our website describing this issue ? Make sure to include links so we can see exactly what you’re talking about. Is there a way to add current members who did not sign up through the plugin? We’ve installed your plugin to gather/manage new members but already have members of our group who need to have accounts and member access login info to our site. They came on board before we started using the plugin. nice explain of membership plugin for WordPress I would like to suggest you also mention about ARMember. 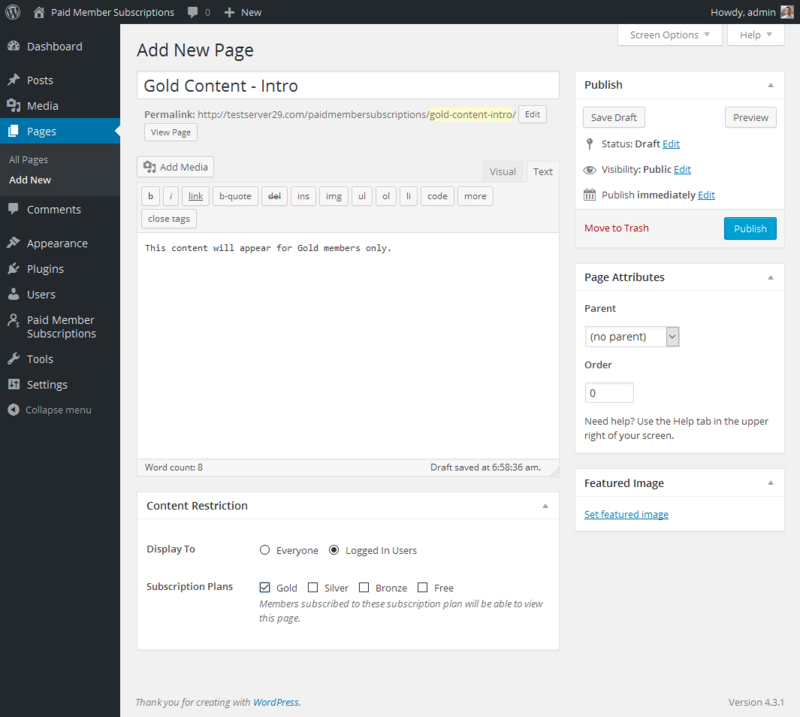 This is the one of the powerful form builder plugin for wordpress.